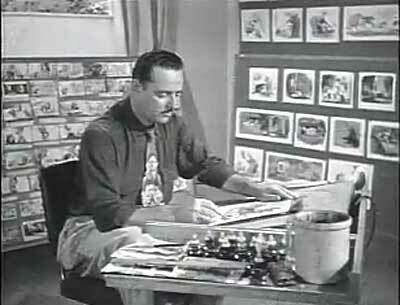 Today, we had a visit from John Denos, who is a collector of portrait photography and Hollywood memorabilia. 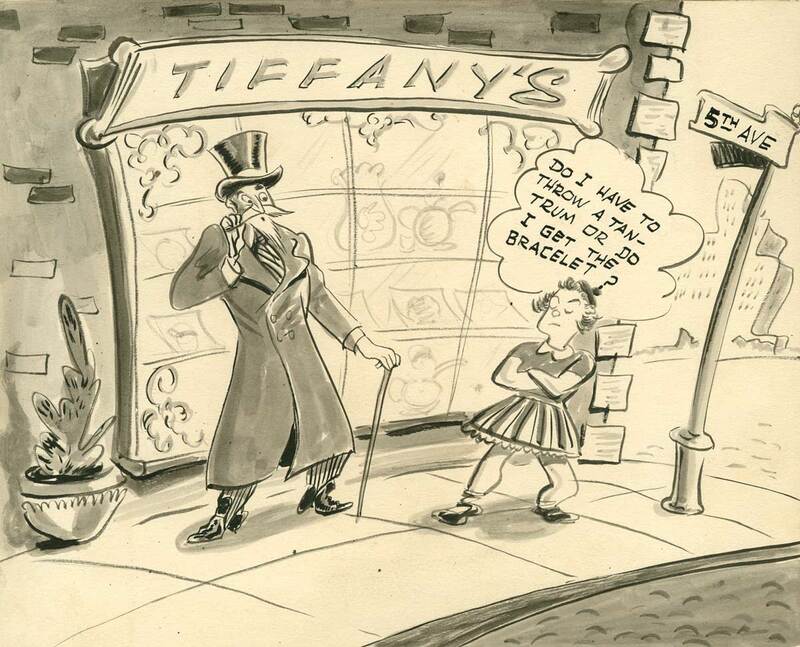 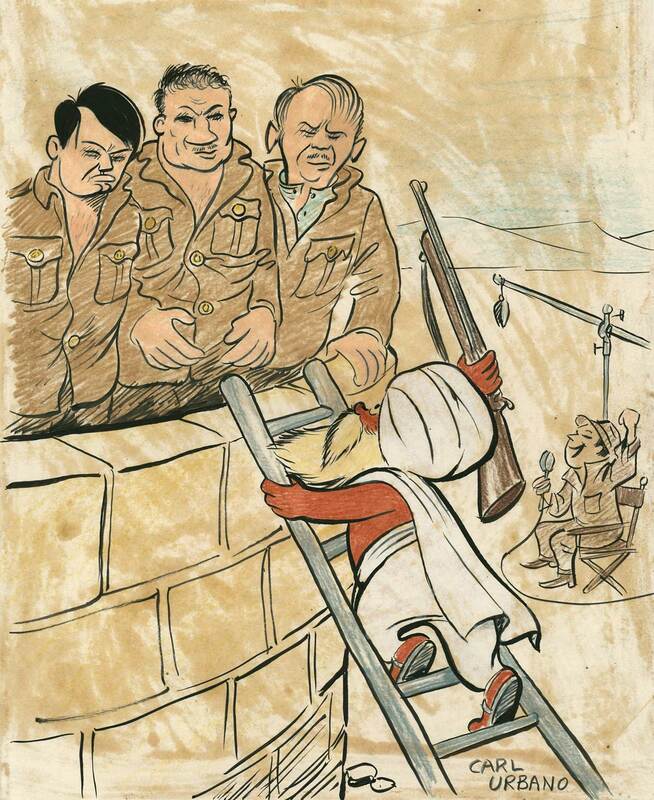 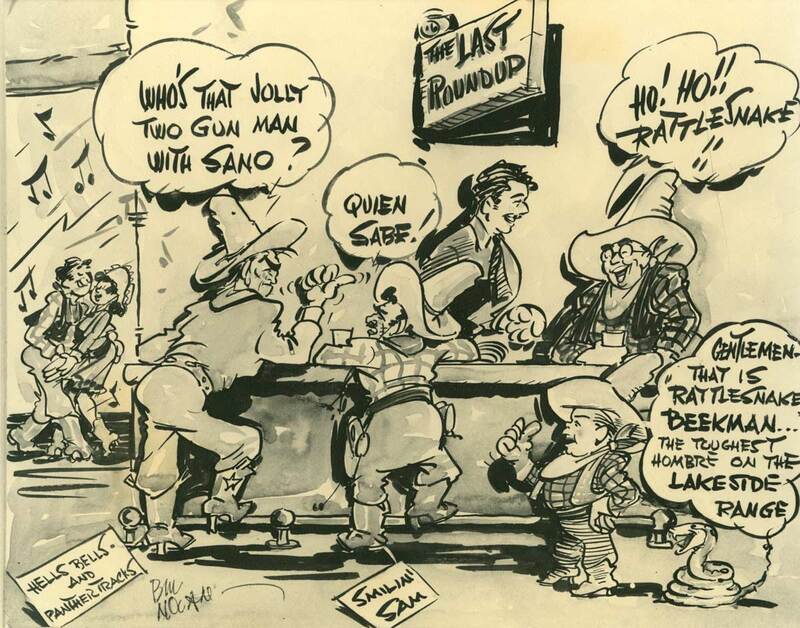 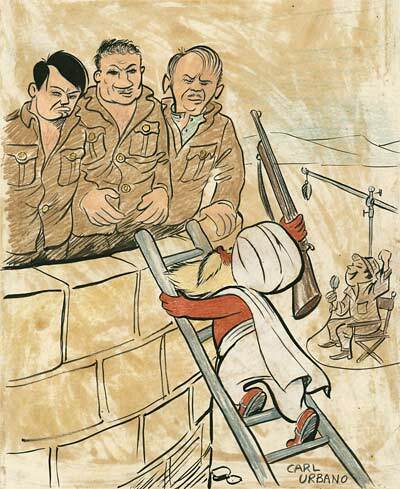 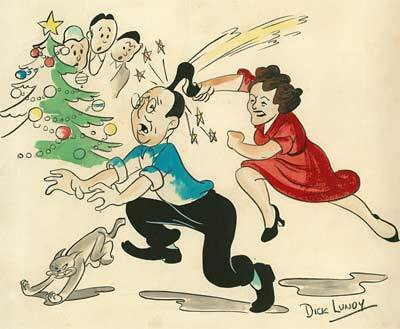 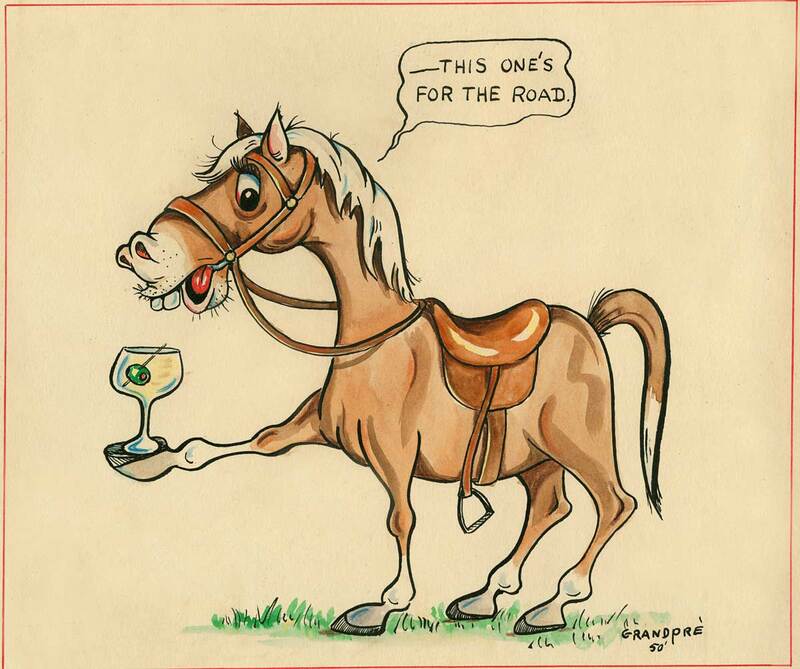 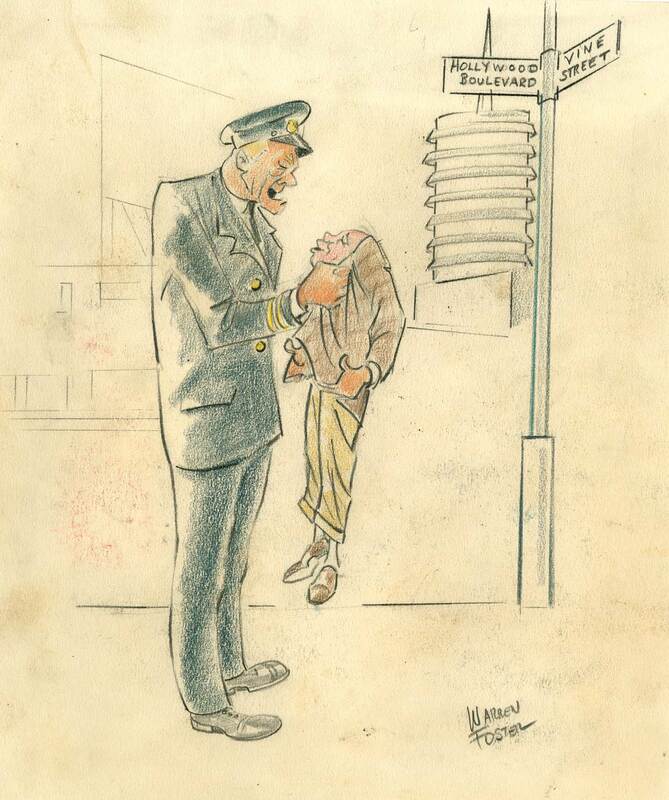 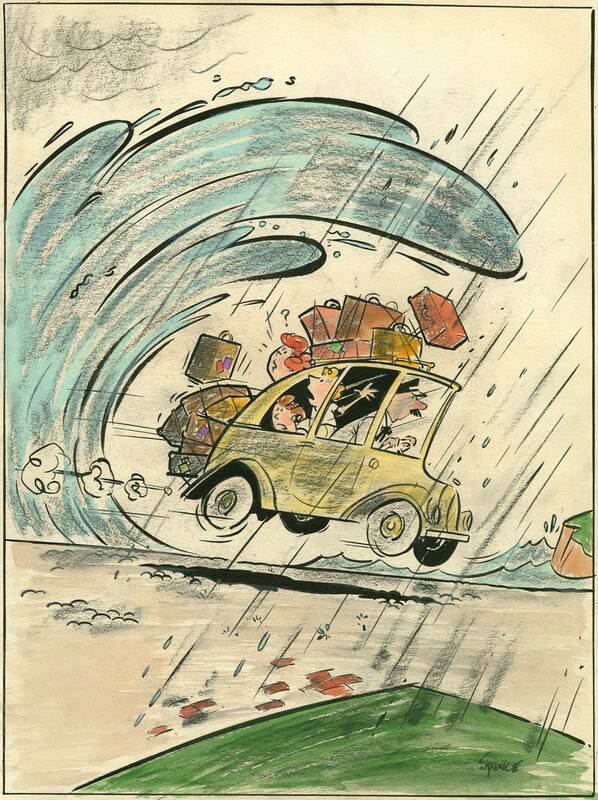 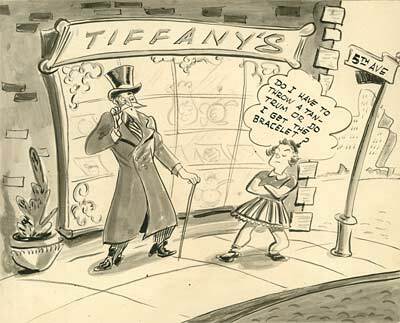 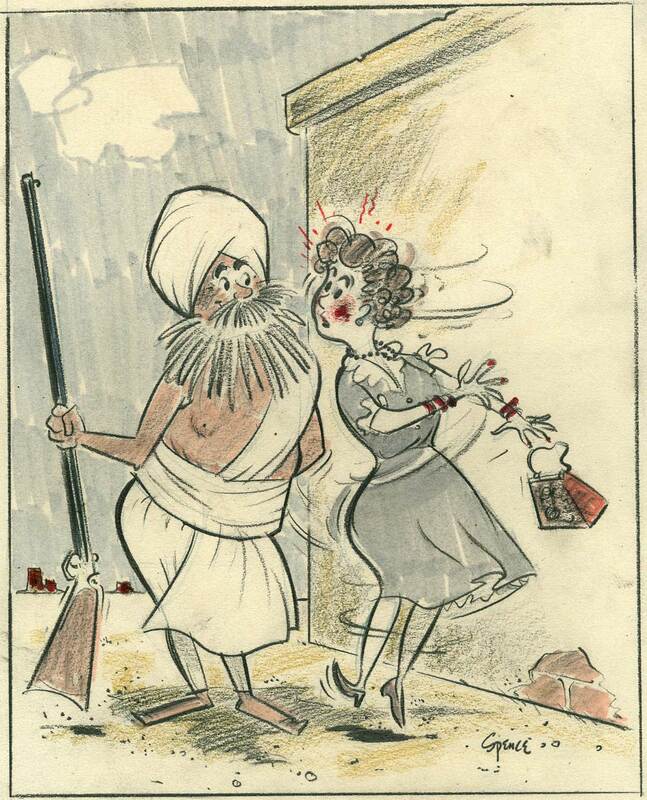 He had a treasure with him… a scrapbook of gag drawings that belonged to publicist, "Scooper" Conlon. Conlon’s career spanned the history of the golden age of Hollywood, from the early silent era all the way through the fifties. 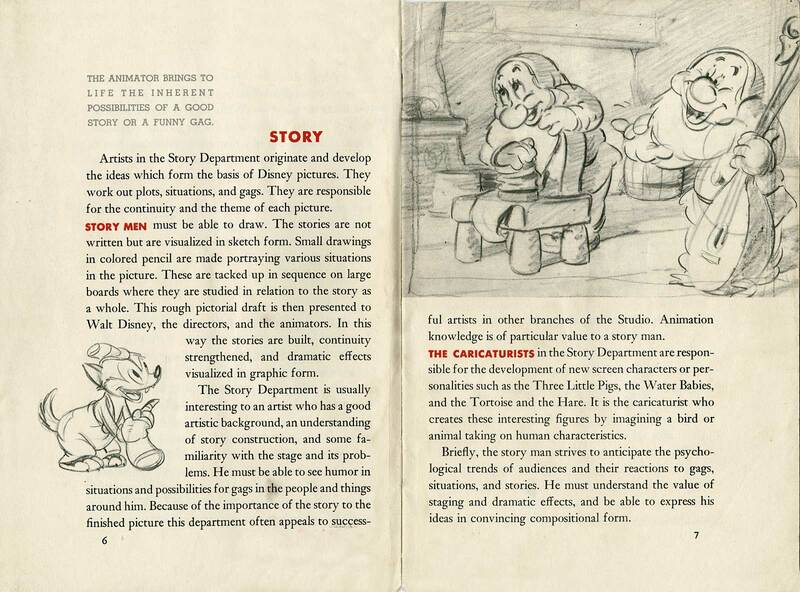 He had many friends in the business, including many famous animators. 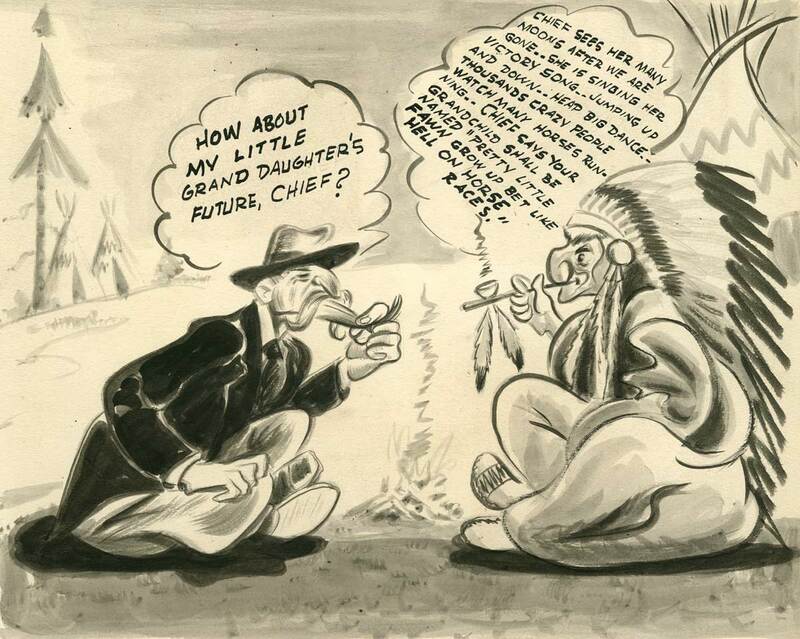 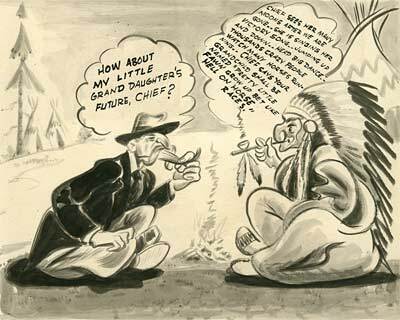 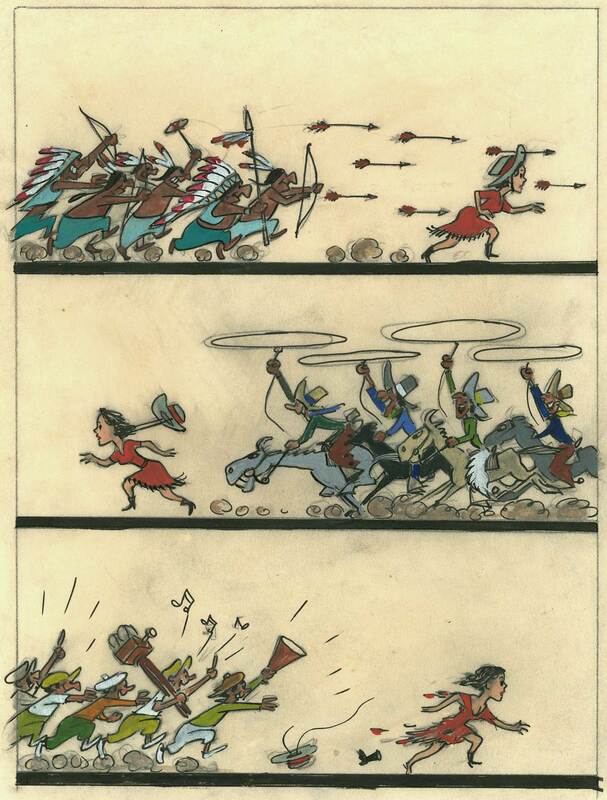 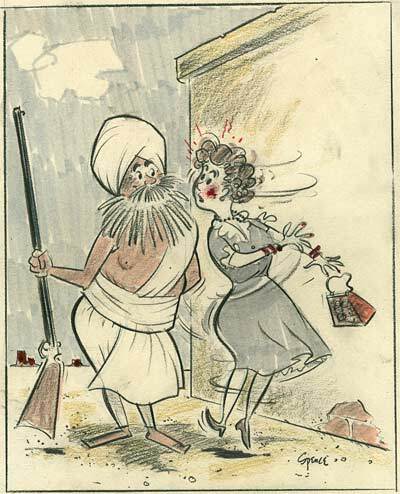 John is looking for information on the artists behind these great cartoons. 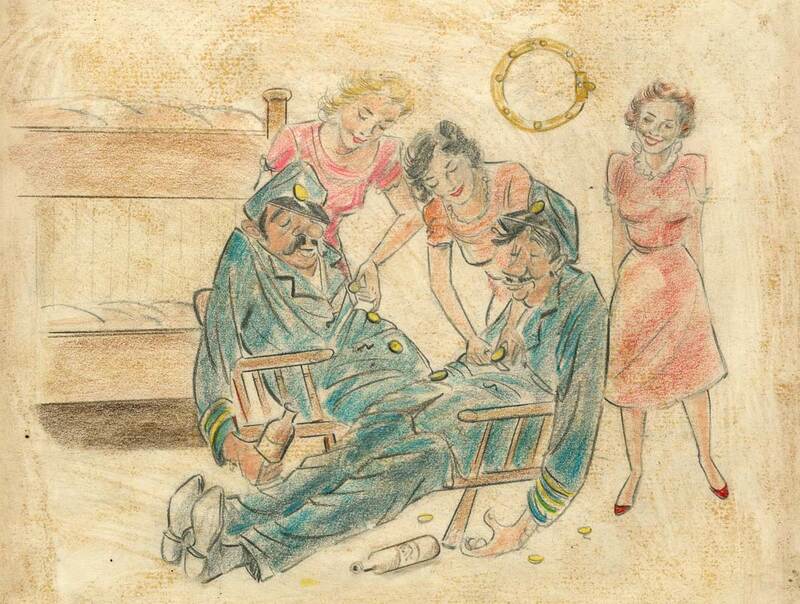 If you have any pertinent details, please leave a comment below. 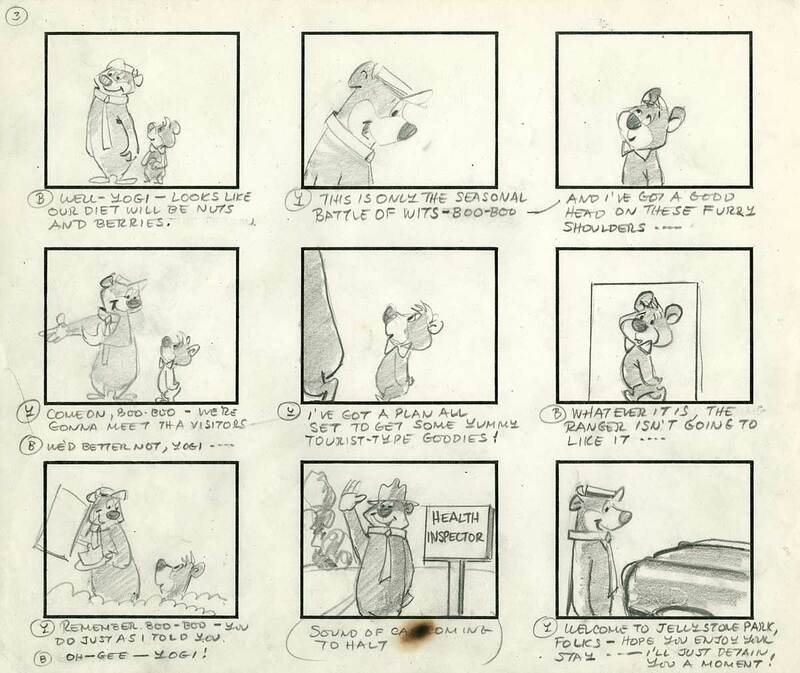 Thanks to John Denos for sharing these with us! 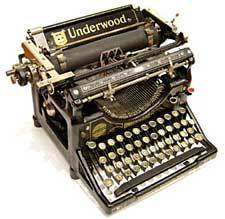 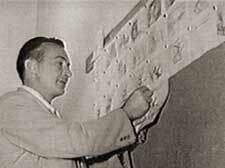 Birth: October 24th, 1904 in Brooklyn, New York.Death: December 13th, 1971 in San Clemente, California. 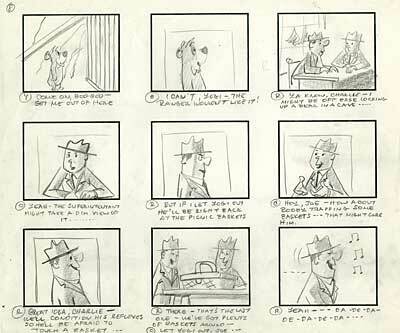 Warren Foster began his career as a writer for Warner Bros. in 1938, and began his work there on a Porky Pig short, Porky in Wackyland. 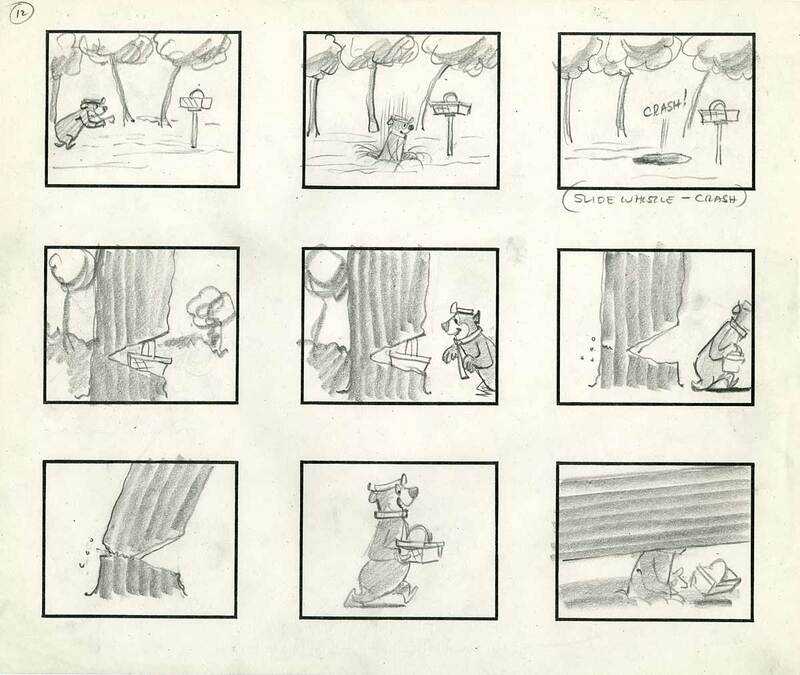 His work for Warner Bros. totaled nearly 171 cartoons. 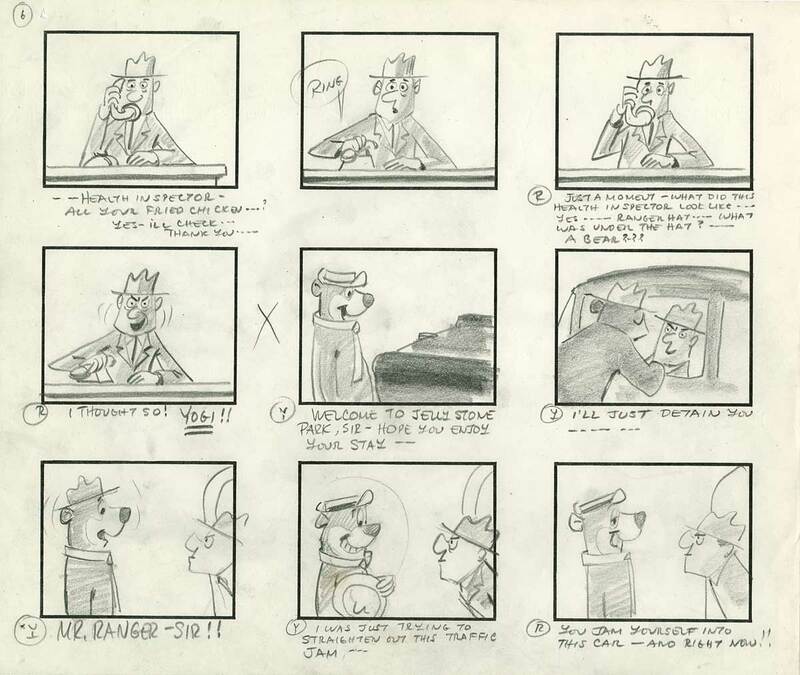 His more recognizable work for Warner Bros. includes Book Revenue and The Great Piggy Bank Robbery which features Daffy Duck, Catty Cornered with Sylvester the Cat, and Bugs and Thugs with Bugs Bunny. 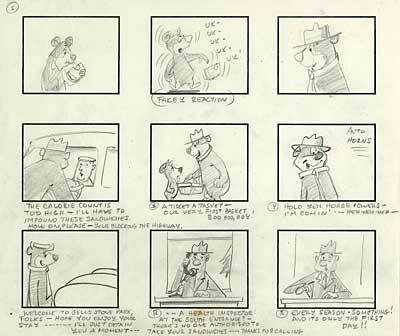 Near the end of his career with Warner Bros. in 1959, he worked on a Tweetie Pie short, Tweety Dreams. 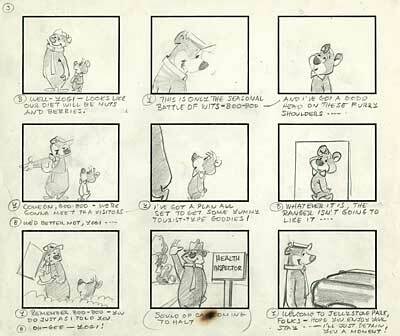 He is the composer for the Tweety bird theme song “I Tawt I Taw a Puddy Tat”. 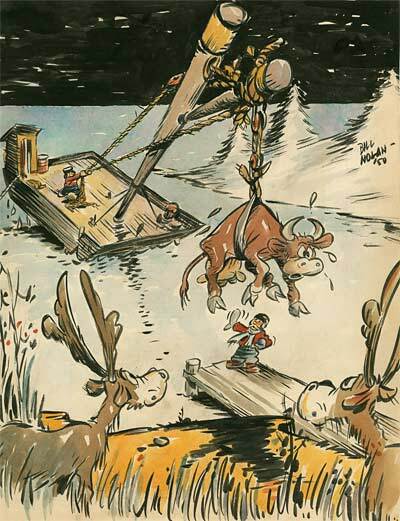 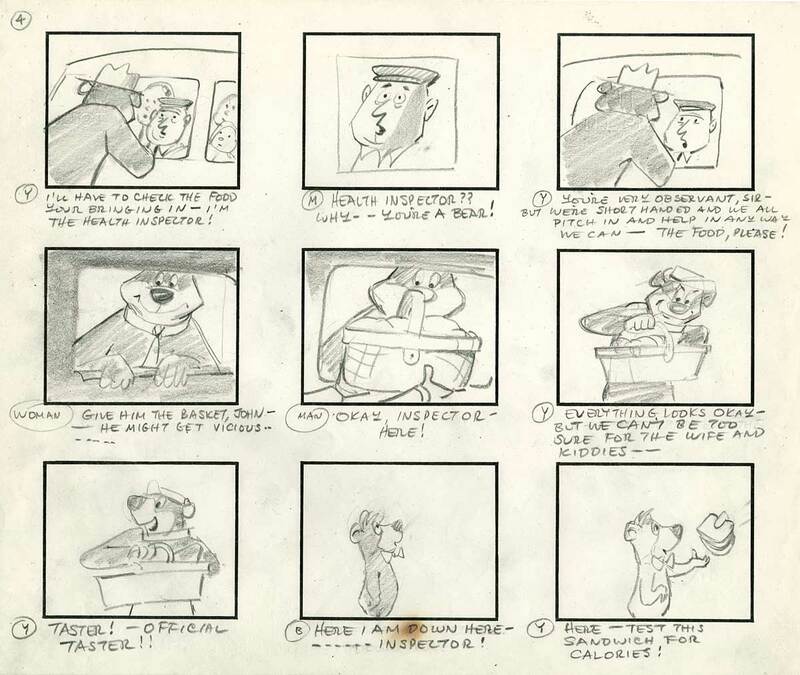 Foster later left the Warner Bros. studio and went to work for Hanna-Barbera. 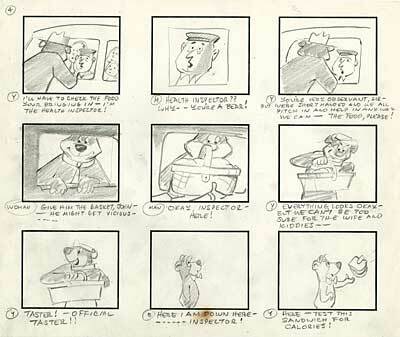 During his employment at Hanna-Barbera, he worked as a writer and cartoonist on many reputable animated programs, including The Yogi Bear Show, The Flintstones, and the feature length The Man Called Flintstone. 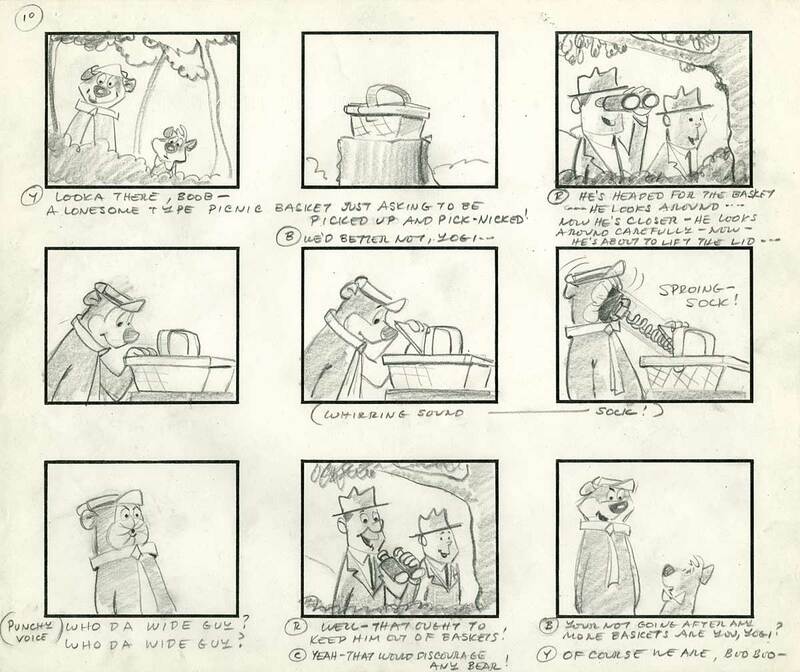 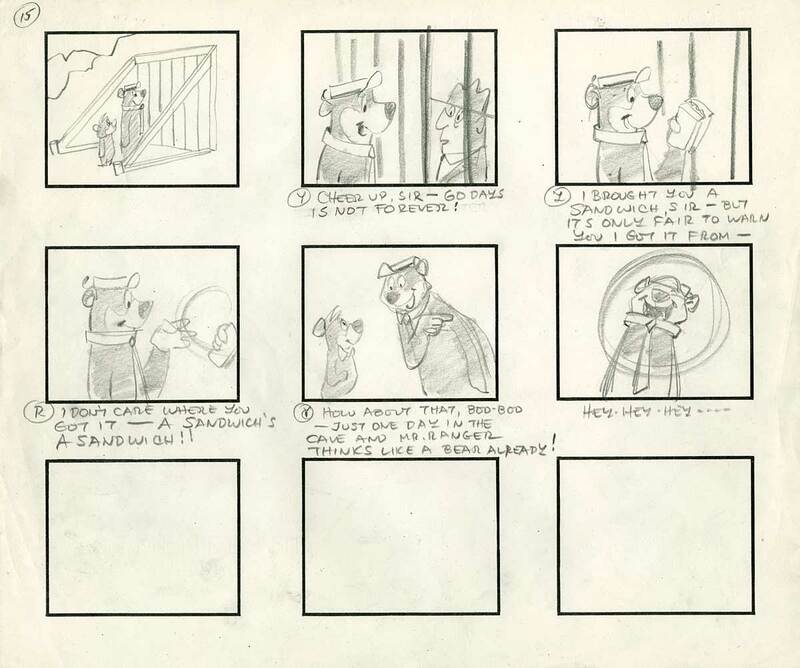 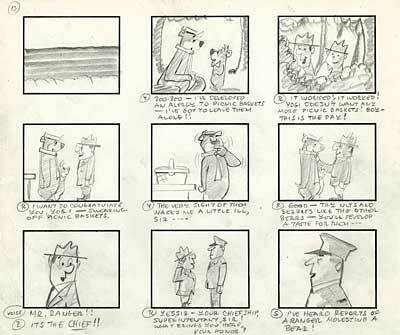 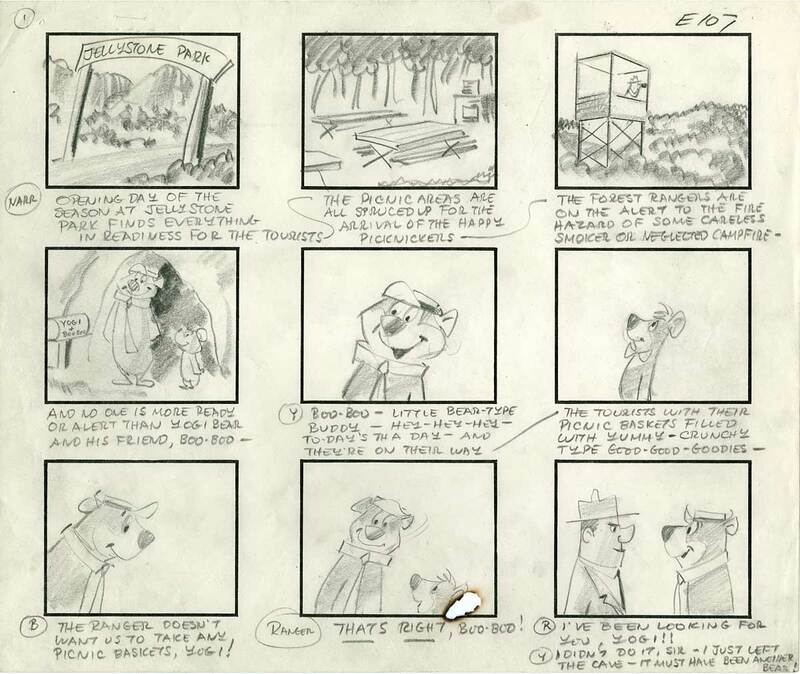 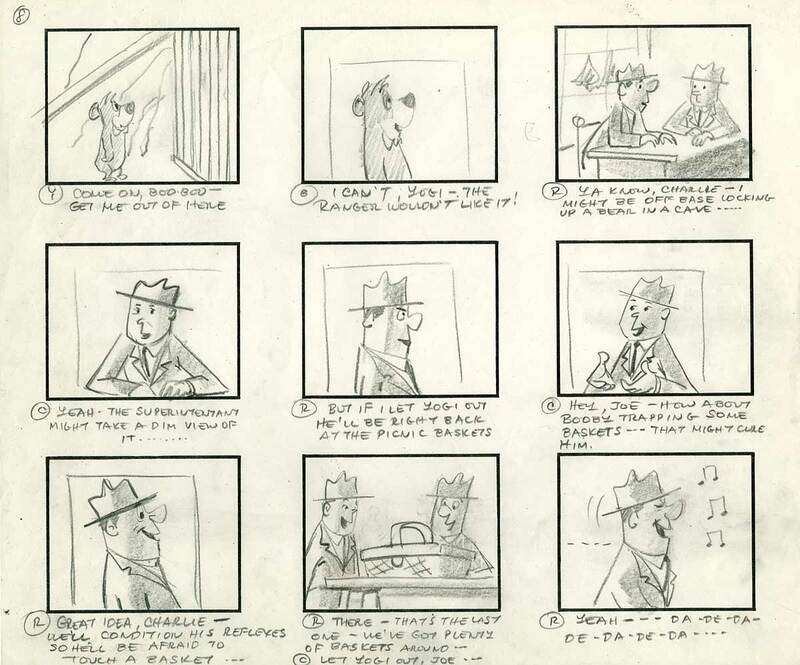 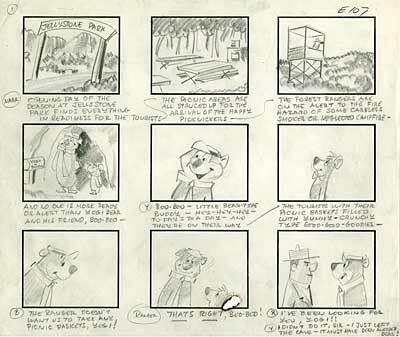 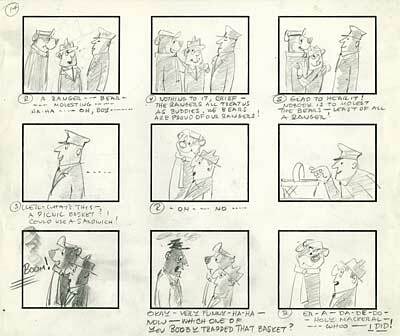 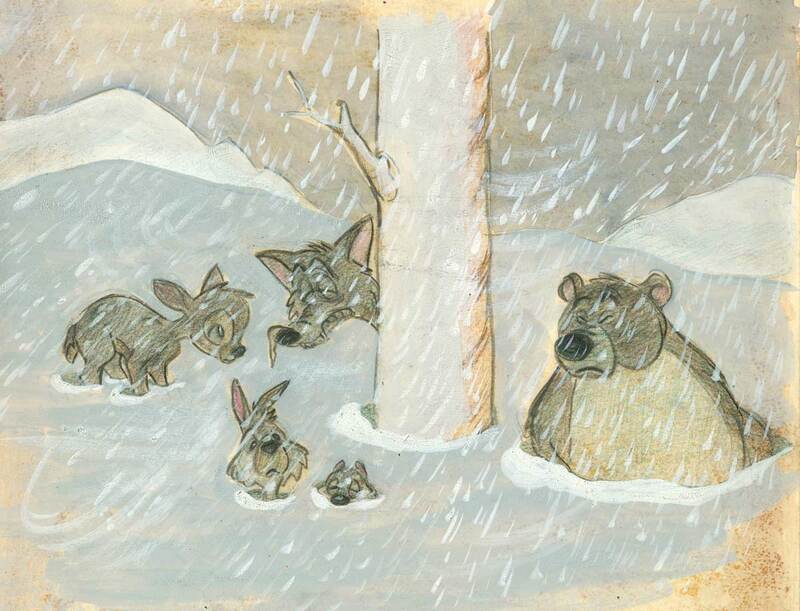 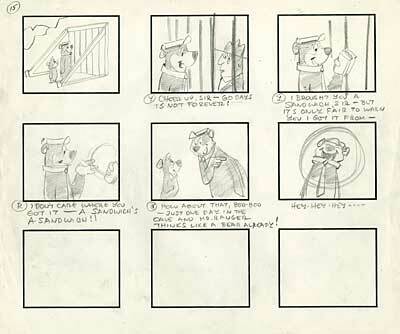 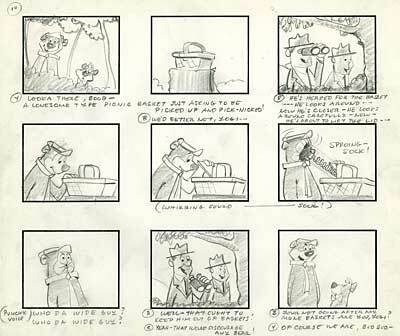 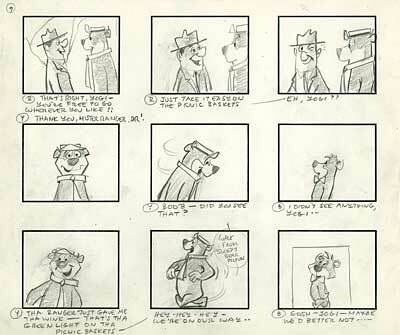 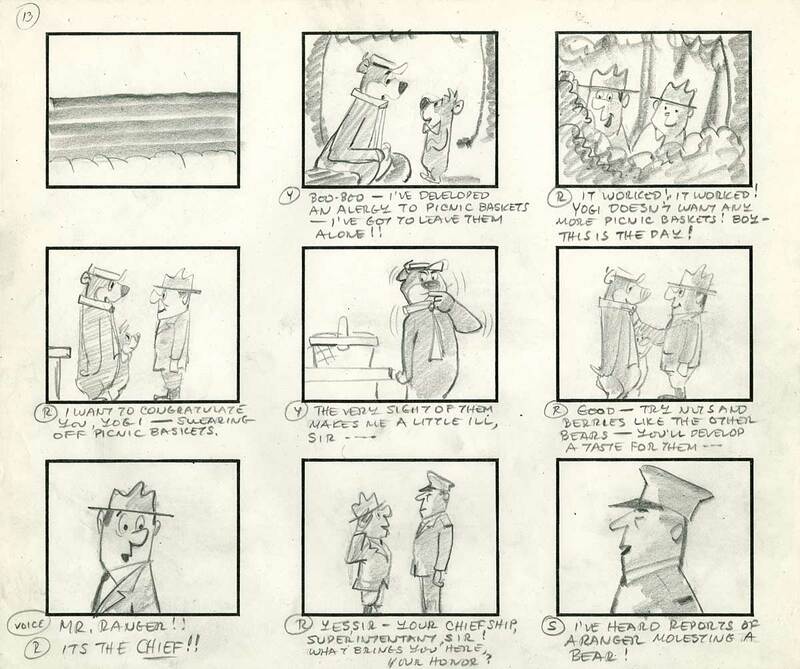 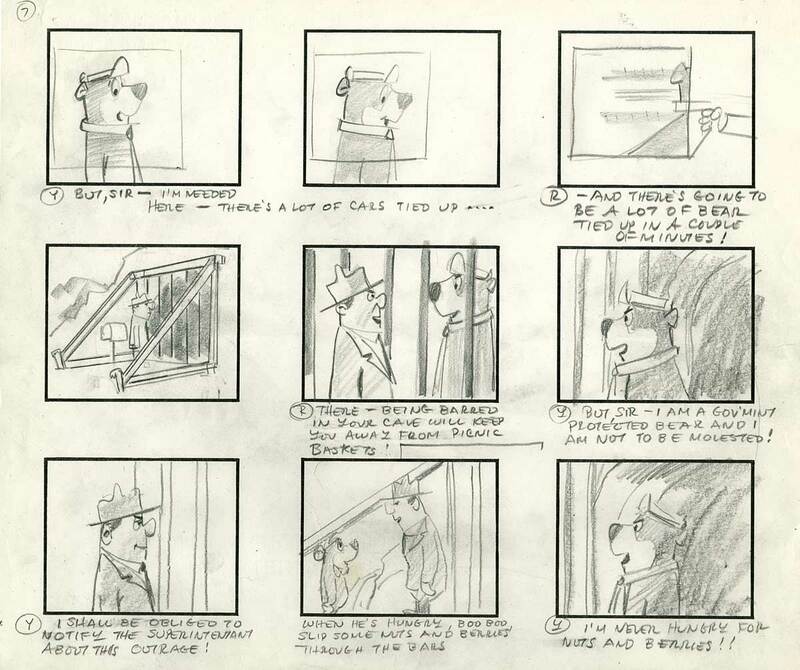 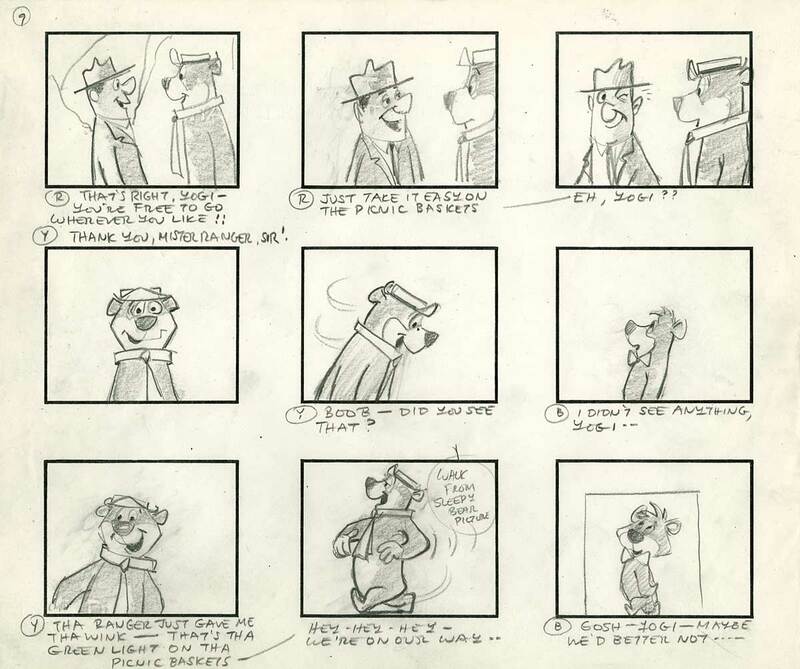 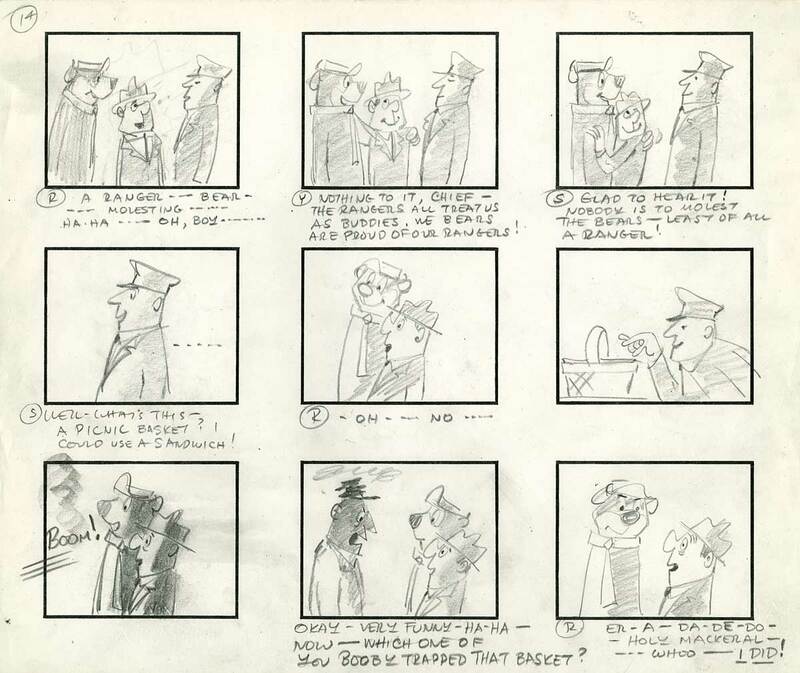 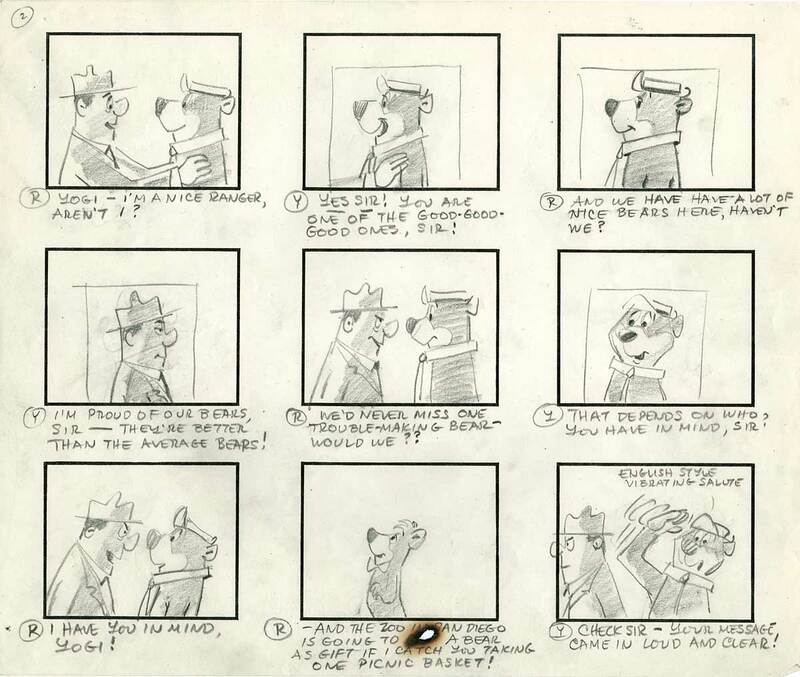 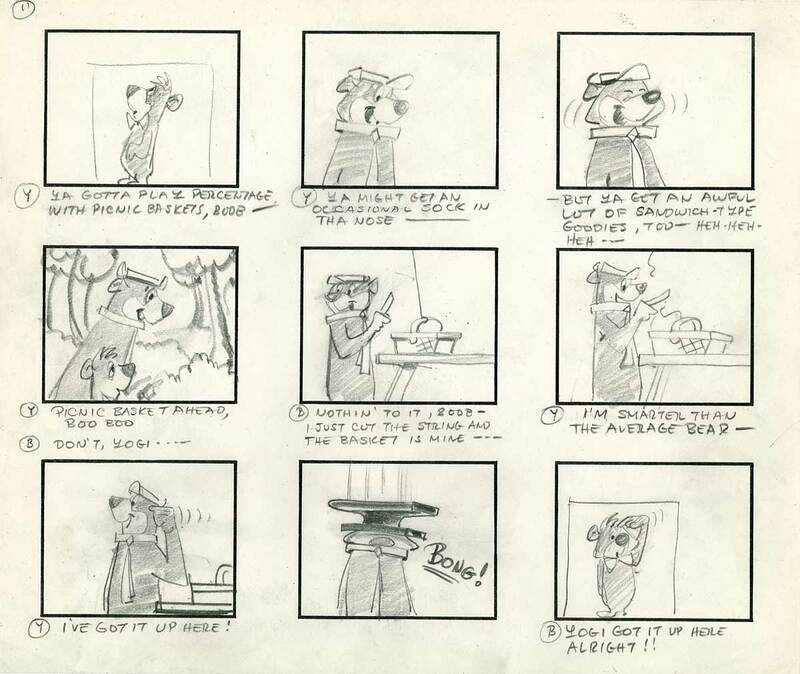 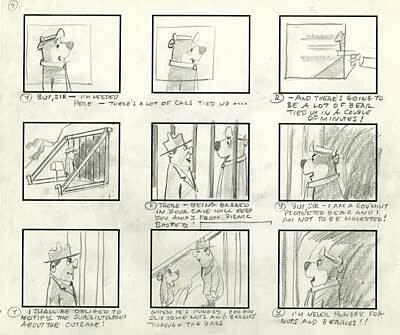 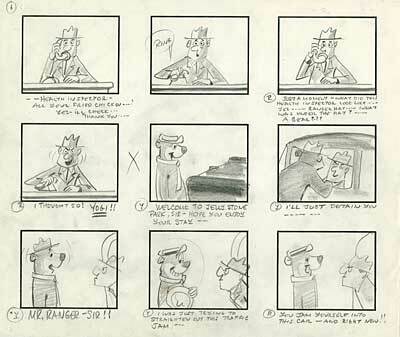 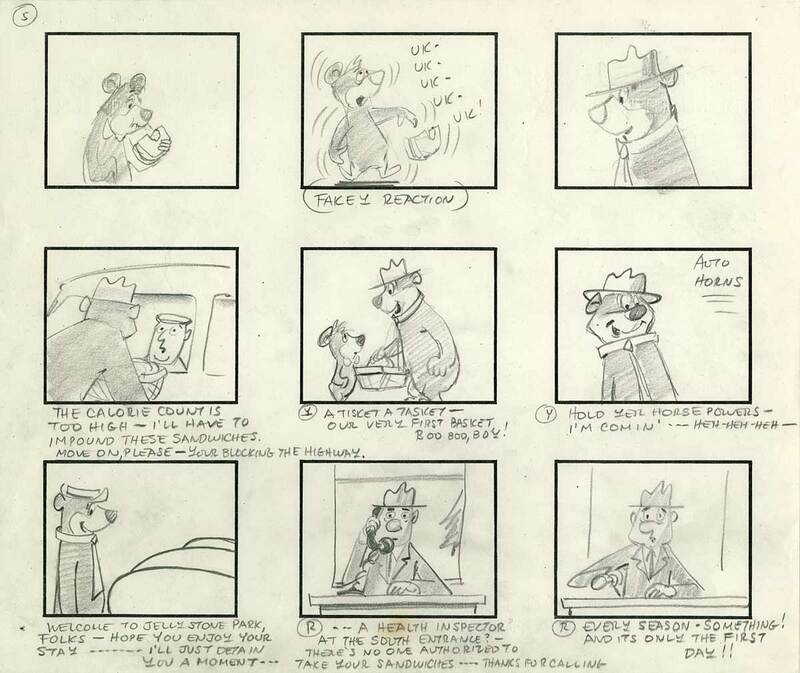 Warren Foster displays the skills of an accomplished draftsmen and writer, as demonstrated by one of his storyboards for the pilot episode of The Yogi Bear Show. 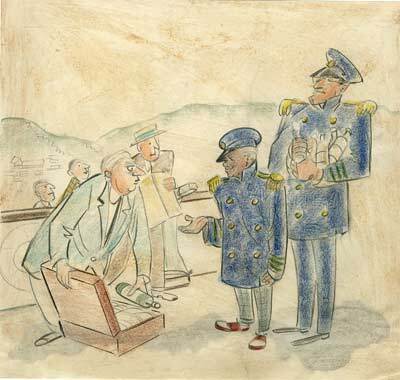 His drawings indicate quick and precise pencil strokes with little to no erasures, suggesting that he is adept at fast sketches. 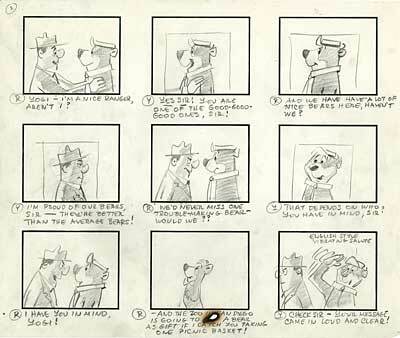 The frames are simple and easy to understand within seconds of viewing them. 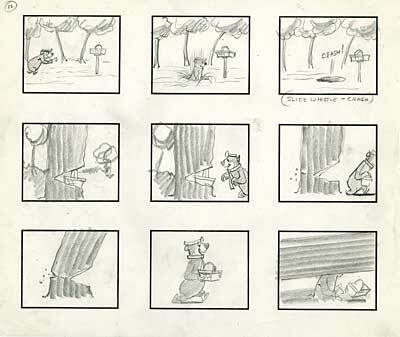 Foster also possesses a great knowledge of line weight and tone, as he is able to suggest trees apart from solid rocks with apparent ease. 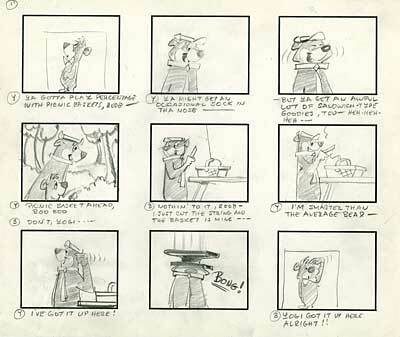 During the later days of his employment at Warner Bros., Foster had written material for McKimson and Friz Freleng after Bob Clampett’s departure. 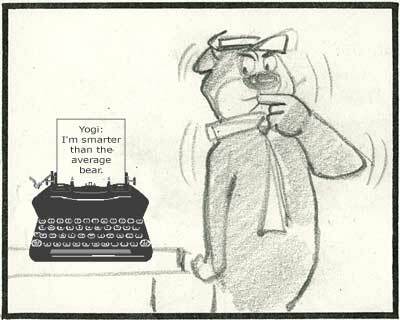 Friz Freleng has apparently said that Foster was the best story man he had ever worked with.